Important changes being made to company dividends are coming into force in the next few months. What are they, and how will they affect you? 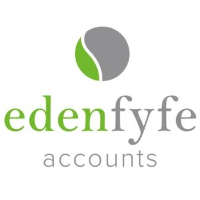 If you’re the owner of a small to medium sized business, now’s the time to act, advises Lisa Bray, a director of Eden Fyfe Accounts. Currently all UK dividends are paid with a notional 10% tax credit, so for every £1,000 of dividend income received it is assumed that £111 of income tax has already been paid (the total dividend is therefore £1,111). This means that basic rate tax payers have no further income tax liability on dividends received as the effective rate of tax is 0%. If you are a higher rate tax payer the “effective” rate is 25%, and 30.6% if you are an additional rate tax payer. These changes will impact heavily on the SME market where directors of owner managed companies typically take a lower salary equivalent to the personal allowance and then take additional income via dividends which under current rules would result in earnings up to the basic rate band each year with no income tax to pay (basic rate band for 2016/17 is £43,000). The changes do not however impact on the Corporation Tax payable of 20% on company profits calculated before taking dividends into account. *This does not take into account national insurance amounts due. Therefore on the levels above individuals will be worse off by £2,025. Our key message is to maximise where possible dividends in the tax year to 5 April 2016 before the new rules come into force. Even if your company does not have the available funds at present to pay out additional dividends, remember that a dividend can be declared in the 2015/16 tax year and allocated to your director’s loan account and paid at a later date when cash flow permits. The company must however have sufficient reserves for dividends to be drawn. Some very small limited company owners may find it useful to consider an alternative structure, such as sole trader or partnership, particularly if they feel trading as a limited company may now be a more expensive way to operate their business. The time to act is now. Our advice would be to undertake tax planning to ensure you are taking your remuneration as tax efficiently as possible. You may wish to speak to your business advisor or accountant as soon as possible. Article by Lisa Bray, Director, Eden Fyfe Accounts.